That "COSMETICATRAVEL ' is a brand for medical tourism, health and wellness services, managed by the agency "Siroko Travel". it is understood below by the "agency" Siroko TRAVEL which is a licensed Tunisian travel agency “A” category, licence No. 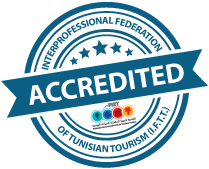 1515 granted by the Tunisian National Tourism Office, specialized in the organization and promotion of medical tourism trips, health and wellbeing. it is understood below by "patient / client", the recipient of medical and tourism services listed below. it is understood below by “Procedure”, the medical or surgical procedure. it is understood below by the "clinic", the private health facility where the “patient/client” is admitted for medical or surgical procedure. it is understood below by the "doctor", the doctor and / or attending surgeon. Assistance for the "patient/client" during his or her stay in Tunisia from arrival until departure (welcome, transfers, hotel accommodation, information, excursions, appointments with the medical team, medical and paramedical assistance from check-in to check-out at the hotel and the clinic). Organization of the "patient/client" stay out of hospital and the supply of tourism services during his/her stay in Tunisia. Facilitating contacts between the "patient/client" and any third parties and partners. Hospital accommodation in the "clinic"
Medical and paramedical services in accordance with current regulations, practices, hygiene standards and the standards of the health sector in Tunisia. Completion of the “Procedure” in accordance with current regulations and medical ethics.  Provides its services in compliance with current regulations, practices and standards of the tourism sector in Tunisia. Subscribes, at its expense, insurance policies relating to the usual services of travel agencies in accordance with the current regulations. Provides its services in compliance with current regulations, practices, hygiene standards and standards of health sector in Tunisia. Subscribes, at its expense, insurance policies relating to private hospitals and clinics in accordance with the current regulations. Provides his/her mission in compliance with current regulations, practices, medical standards in Tunisia and medical ethics. Being graduated of his/her specialty with a minimum of 05 years of practical experience in his specialty. Subscribes, at his/her expense, insurance policies relating to the usual services of physicians in accordance with the current regulations. Answer any questions of the “patient/client” regarding the agreed medical and/or surgical procedure. NB: Under the law, the surgeon has an obligation of means. Communicate all information regarding his/her medical history including treatments and medications undertaken before, or that he or she is currently taking. Ask the “doctor”, during the preoperative consultation, all his or her questions regarding the “Procedure” so that he or she become very knowledgeable about all details of the agreed “Procedure”, its expected benefits, risks and side effects including potential problems that might occur during recuperation. Comply with the doctor and other medical staff advices and recommendations before and after the “Procedure”. Comply with minimum stay of convalescence in Tunisia recommended by the "doctor" and "agency". The "patient/client" is liable only for obligations listed above in "Article 2, paragraph. 2.4." The "doctor" is liable only for services and obligations listed above in "Article 1, parag. 1.3." And "Article 2 parag. 2.3." The "clinic" is liable only for services and obligations listed above in "Article 1, paragraph. 1.2." And "Article 2 parag. 2.2." "The agency" is responsible only for services and obligations listed above in "Article 1, paragraph. 1.1." And "Article 2, parag. 2.1." NB: The medical and surgical aspects are entirely and solely the responsibility of "Clinic" and "doctor". Any dispute will be dealt with under the exclusive jurisdiction of Tunisians courts. After speaking with the "doctor" during the preoperative consultation, the “patient/client” has the right to postpone or cancel the planned “procedure”; the “patient/client” will be requested to pay only the accommodation and transfers costs. If, for medical reasons, the “doctor” decides not to proceed with the surgery (or procedure) as scheduled, the cost of the surgery will be refunded to the “patient/client) less the accommodation and transportation costs. NB: Both « patient/client » and « doctor » are under no obligation until after pre-operative consultation. "Agency" fees: cover the services listed above in "Article 1 paragraph. 1.1.". “Medical fees”: cover "clinic" and “doctor” fees relating to services listed above in "Article 1, paragraph. 1.3." and "Article1, paragraph. 1.2." and also anaesthesia and anaesthesiologist’s fees, all medications needed during the “patient/client” stay in Tunisia, costs of prosthesis and other medical equipment (if applicable) and the costs of nursing and relocation to the Hotel (if necessary). The "patient/client" has to pay for the agreed services only after preoperative consultation and after signing the consent form (on the back of this page). Payment must be made before surgery. "Patient/client" pays directly to "The Agency", to the "Clinic" and to the "doctor" the fees and charges relating to their respective provided services. Payment is made in cash or travellers’ cheques or exceptionally in credit card subject to the prior approval of the "agency" or "clinic". The Travellers’ cheques must be accompanied by the mandatory contract note issued by the customer's bank. The information contained in the website www.cosmeticatravel.com are general and are by no means exhaustive and do not in any case replace explanations and answers provided by the "doctor" to the "patient/client." Each patient is a special case and any decision without prior consultation with the "doctor" is the sole responsibility of the reader. During the stay in Tunisia: During recovery period in Tunisia, the "patient/client" has the right to minimum of 2 post-operative consultations with the "doctor". In regard to cosmetic surgery, it should be noted that such procedure are generally not aggressive and rare possible complications occur immediately the following days after surgery during the stay in Tunisia. That’s why the “patient/client” has to comply with minimum stay of convalescence in Tunisia recommended by the "doctor" and "agency". After the return home of "patient/client ': The “agency" has a specialized department dedicated to assist the "patient/client" in the postoperative follow up. This department gets in touch with the "patient/client" as soon as he is back home and remain at his disposal to answer all questions about her postoperative follow-up by coordinating with the "doctor". This department will arrange, if necessary, direct contact (by phone or internet) with the "doctor" in Tunisia who will arrange, if he find it necessary, an appointment with a home country doctor. A touch-up surgery is a minor revision procedure after cosmetic surgery. The "doctor" decides if a touch-up surgery is needed on the basis of postoperative photos sent by the “patient/client”. If the unsatisfactory result is confirmed by the "doctor", the "patient/client" will be entitled to a free touch-up surgery. In this case, "the agency" and "doctor" will pay respectively the costs of stay and costs of surgery (including hospitalization) needed for the touch-up in Tunisia. This warranty does not include flight and covers only the "patient/client." If the "patient/client” and “doctor” does not agree with the evaluation of the result the arbitration will be done by a third party surgeon. The diagnosis and conclusions of this surgeon must be submitted in writing to the "doctor" in Tunisia. In this case, if a touch-up is necessary, "the agency" and "doctor" will bear respectively the costs of stay and costs of surgery (including hospitalization) needed for the touch-up in Tunisia. This warranty does not include the flight and covers only the "patient/client." NB: The notion of an unsatisfactory result has important element of subjectivity and is therefore based on expert opinion of cosmetic surgery and the mutual good faith. If complications (linked directly to the “procedure”) happen when the "patient/client" is still in Tunisia, all support and medical services are provided in Tunisia and costs paid by "agency" and "doctor". If complications happens after the return of the "patient/client" in his or her home country (after spending the required convalescence period in Tunisia) and if further surgery proves necessary "the agency" and "doctor" will bear respectively the costs of stay and costs of surgery (including hospitalization) needed for a second surgery in Tunisia. This warranty does not include the flight and covers only the "patient/client"
The agency recommends to the "patient/client" to leave valuables or money in the hotel safe or clinic or give them to the "agency". "The agency" is liable only for loss or damage to objects that have been given by the "patient / client".